I was born in Malaysia then moved to Singapore due to my parents work. I now live in Melbourne, Australia for the past 15 years. In Singapore I used to play football as a youngster for my high school . But Singapore is a nation known for excelling in school rather than sport, I never really had the opportunity to test myself and play football at a higher level. My earliest memories of football was Italia 90. Watching the coverage as a then 8 year old I started to fall in love with the game. I clearly remember matches from that World Cup, such as the round of 16 tie match between Holland and West Germany, and England’s comeback quarter final win over Cameron. It was ironically, the legendary Mr and Mrs Football, Johnny And Les pre and post game show during Italia 90 that got me interested in Football. I was captivated by the way they presented and analysed the games. It got me hooked into wanting to watch more of the beautiful game. 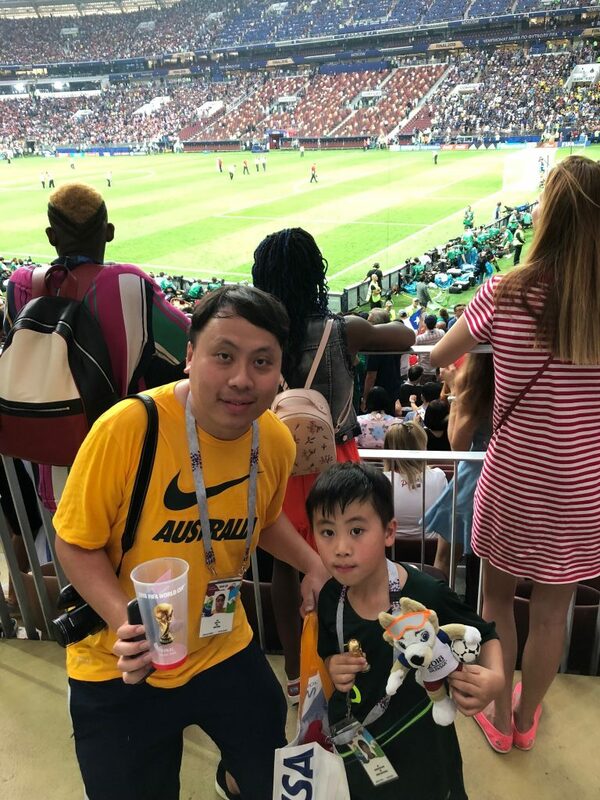 I watched the Socceroos at the 2006 FIFA World Cup, 2007 Asian Cup, but the most memorable experiences of our Socceroos was bringing my then four year old Son (Sept 2015) to his first FIFA World Cup qualifier against Bangladesh in Perth. He loved that experience so much that we attended all 11 home matches on route to Russia 2018. I also attended the Syria away game in Malaysia, which was special because it was the first time in 50 years, my nation Australia, playing a football match in my nation of birth Malaysia. 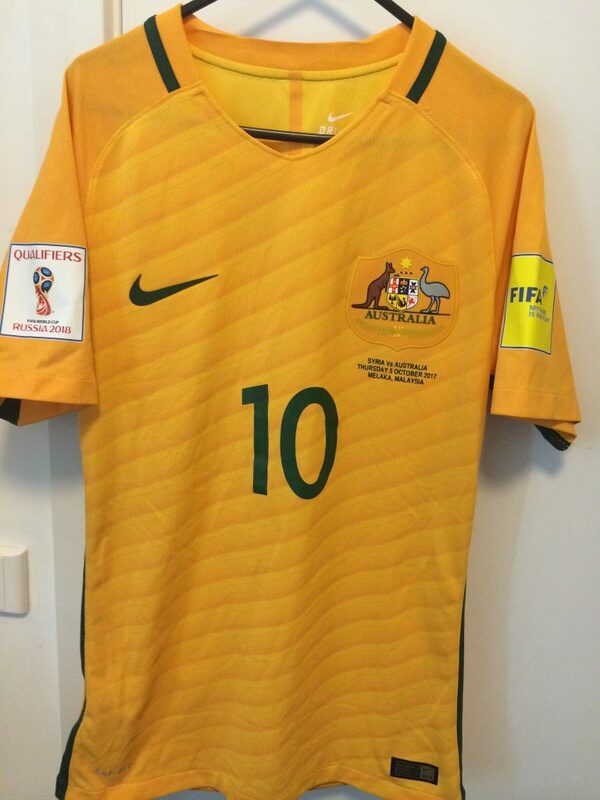 It was even more special, as on game day, it was Socceroo Robbie Kruse birthday. He scored the first goal and he gave his shirt from that half to my son as a token of appreciation of his on going support to our national football team! I have had the opportunity to travel and experience amazing times through football. 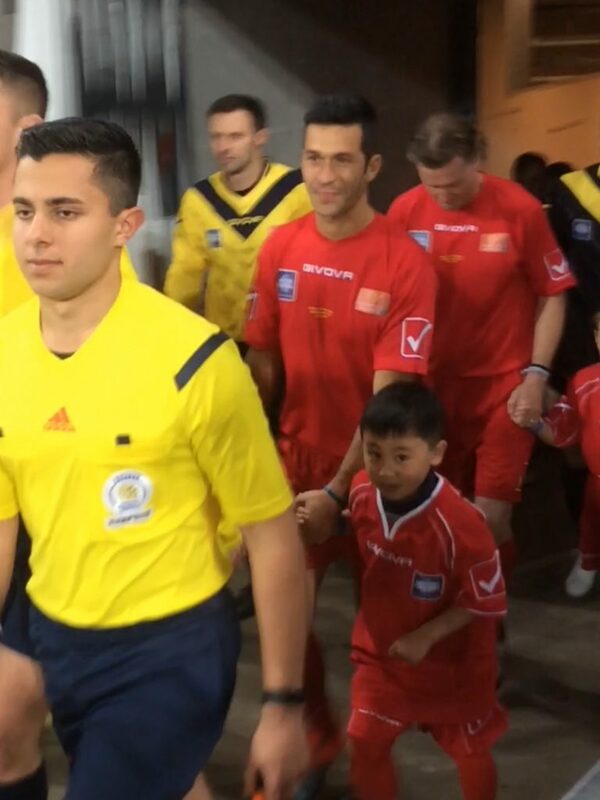 Travelling with my son is a special bonding time where we get to enjoy the beautiful game together. Meeting and getting to know people from all walks of life. 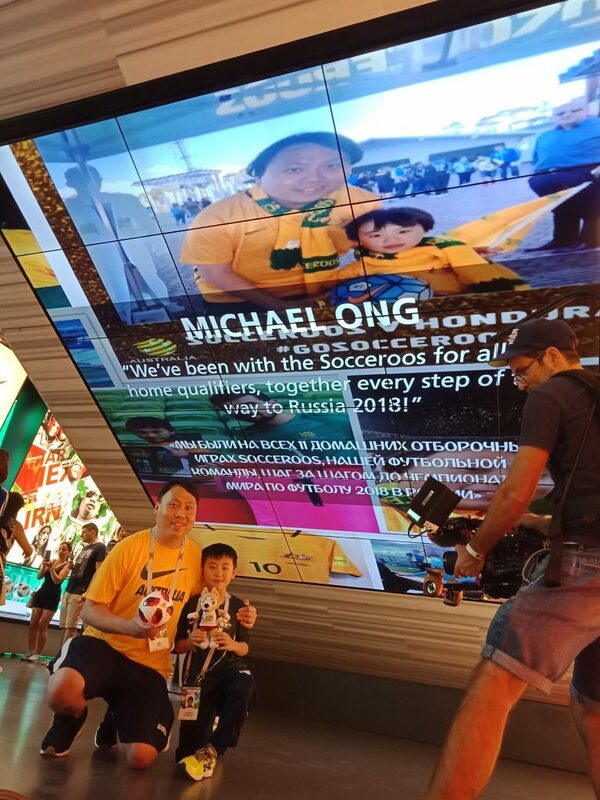 Travelling to Malaysia to watch the Socceroos in October 2017 was special as my son got to experience the rich history of the UNESCO world heritage listed city Malacca, and got to taste the beautiful food of multicultural Malaysia as well as learn more about the history of his roots. 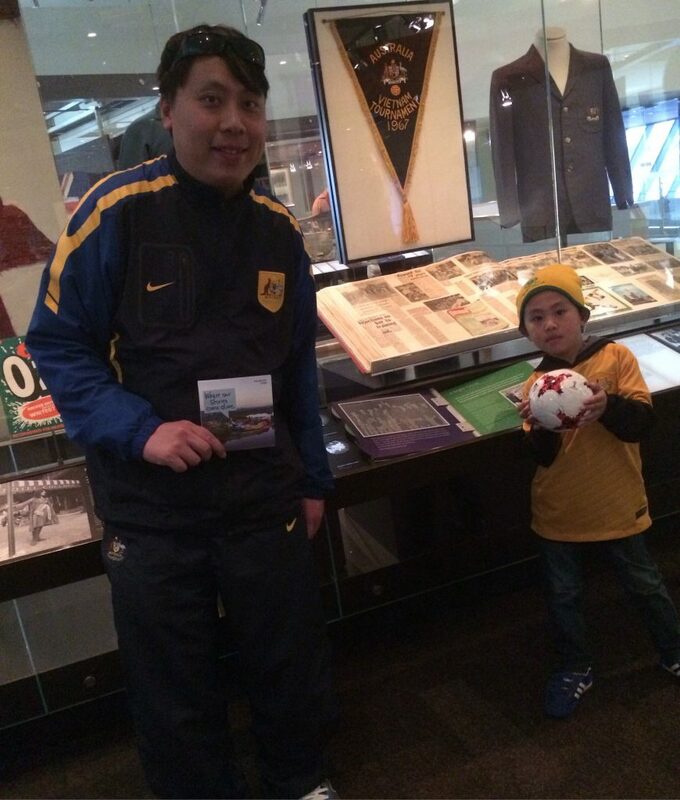 My most amazing football experience would have to be when we got selected by Hyundai to represent Australia at the Hyundai World Football heritage program at the Russia 2018 World Cup. Football fans from each of the 32 nations gathered in Moscow to witness the 21st Football World Cup final. 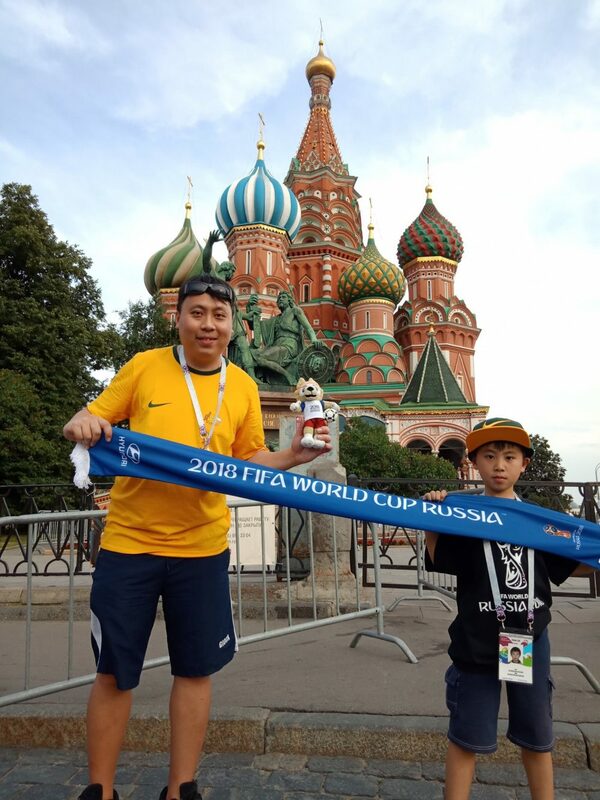 The prize was for a trip to the 2018 FIFA world cup final in Moscow with flights, accomodation and finals ticket included, as well as a one day tour of Moscow with 31 other participating nation winners. Meeting people from each of the other 31 participating nations of Russia 2018 and getting to celebrate the joy of humanity through our shared love of Football alongside witnessing the crowning of the world champions in what was a great final was amazing. I was sitting right in front of the French heritage winner, sharing his emotion as he sang his nation’s national anthem until he teared, until the first and last goal scored by Mbappe, until France lifted the World Cup, these memories are life long. I still keep in touch with most of the 31 other winners on social media. 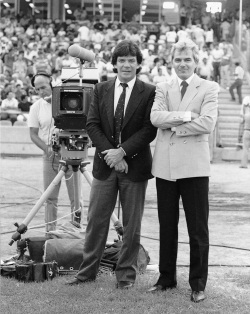 The work of Johnny Warren and Les Murray has always been about welcoming people to our great nation and helping them settle into their new environment through something they seek comfort and joy in, which is football. Even though they are no longer with us, Fozz has carried on their mission of enriching Australia through football with distinction in this recent work with Hakeem. It is important that I let the next generation know that its critical to help those in need whenever we can. 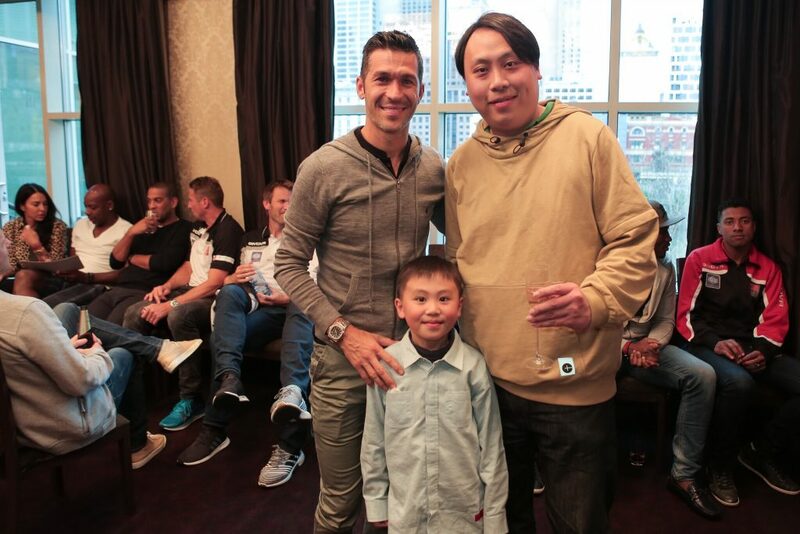 I have also taken him to help out with the homeless in the street soccer programme run by the big issue. Things like these show how we citizens of the world can come together and be connected through football. The Hakeem experience also shows how the power of people movement can save a person. 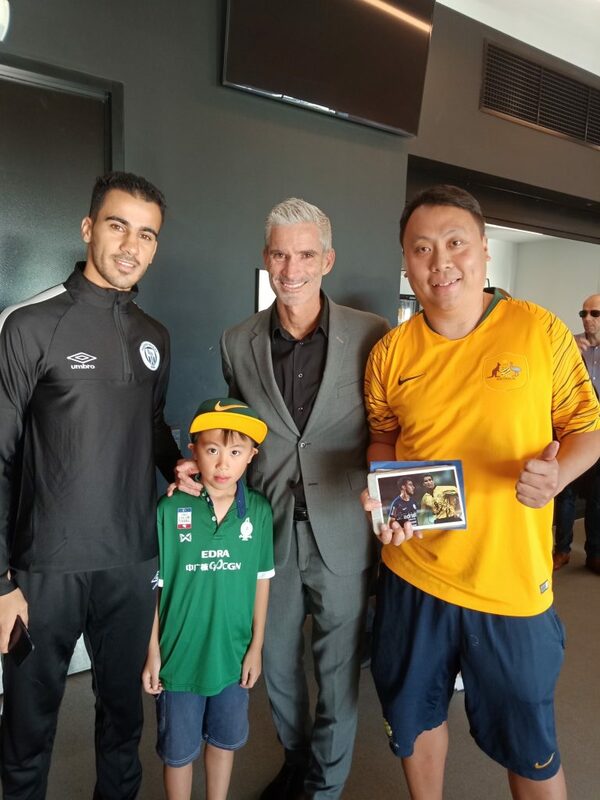 When Fozz was in Thailand visiting Hakeem, he tweeted a clip of the basic essentials he bought for Hakeem and at that time we tried to help the save Hakeem campaign by getting famous people to get the #savehakeem going. We were at Malacca at that time ironically and managed to get someone associated with the football club to post the hastag on instagram to spread the word. In that photo with Hakeem and fozz my son was wearing Melaka united football club shirt as a token of appreciation for the clubs help in spreading the message. For the A-League future I hope for no salary cap, transfer fees within clubs, clubs investing more in junior development promotion and relegation as well as scrapping the finals series.